Can readability on small screens be improved by using Rapid Serial Visual Presentation (RSVP) that adapts the presentation speed to the characteristics of the text? 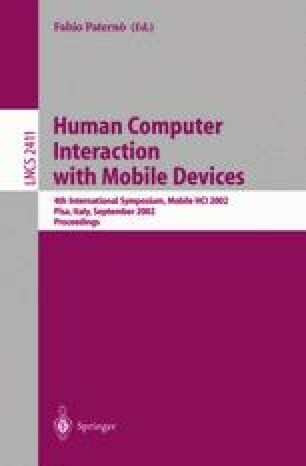 In this paper we introduce Adaptive RSVP and also report findings from a usability evaluation where the ability to read long and short texts on a mobile device was assessed. In a balanced repeated-measurement experiment employing 16 subjects two variants of Adaptive RSVP were benchmarked against Fixed RSVP and traditional text presentation. For short texts all RSVP formats increased reading speed by 33% with no significant differences in comprehension or task load. For long texts no differences were found in reading speed or comprehension but all RSVP formats increased task load significantly. Nevertheless, Adaptive RSVP improved task load ratings for most factors compared to Fixed RSVP. Causes, implications and effects of these findings are discussed.